Unionville High School presents Chanticleer in concert on Wednesday, April 3, 2019 at 7:30 p.m. 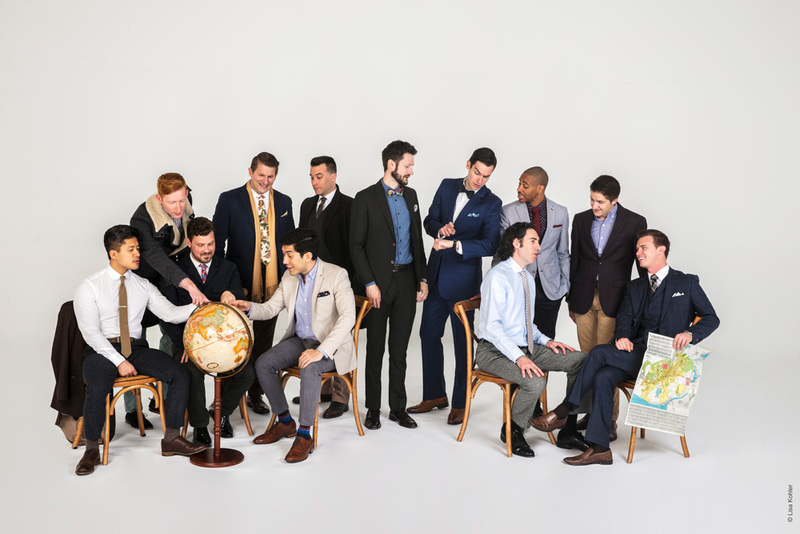 Hailed as “the world’s reigning male chorus” by The New Yorker, the San Francisco-based Grammy Award-winning ensemble Chanticleer celebrates its 40th anniversary this season. Praised by the San Francisco Chronicle for its “tonal luxuriance and crisply etched clarity,” Chanticleer is known around the world as “an orchestra of voices” for its seamless blend of twelve male voices ranging from soprano to bass and its original interpretations of vocal literature, from Renaissance to jazz and popular genres, as well as contemporary composition. Wednesday, April 3, 2019 at 7:30 p.m.
Tickets are $25 for preferred seating or $35 for premiere seating. Purchase online at www.showtix4u.com.